YOU CAN SHOP ALL OF OUR BRIDESMAIDS COLLECTIONS BY CLICKING THE DESIGNER NAME. It's difficult to decide whether you want all your bridesmaids to wear the same color and style gown, or if you want them to wear similar jewelry and shoes. With so many ideas rushing through your mind, you may not have a precise idea of how you want your ladies to look on your day. But because Alexandra's Bridal Boutique holds the largest collection of dresses and is New England's largest bridal salon, we're confident in finding a dress everyone loves. 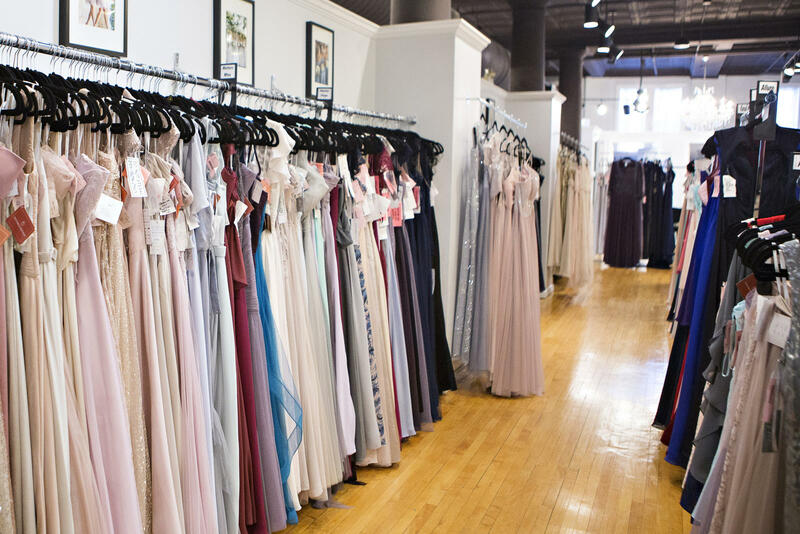 If you're searching for designer bridesmaid dresses, you'll find an incredible selection at Alexandra's Boutique. Our bridesmaid collections, styles and sizes to choose from include designs from Christina Wu, Allure Bridesmaids, Sorella Vita by Essence of Australia and Bari Jay Fashions. From casual to formal, summer to winter, you're sure to find something to fit your style and color theme. And if your girls are curvy, straight or in between we can help. Our professional stylists will help you choose a dress that flatters, and our expert seamstresses will work with each person's body type to craft the perfect fit. 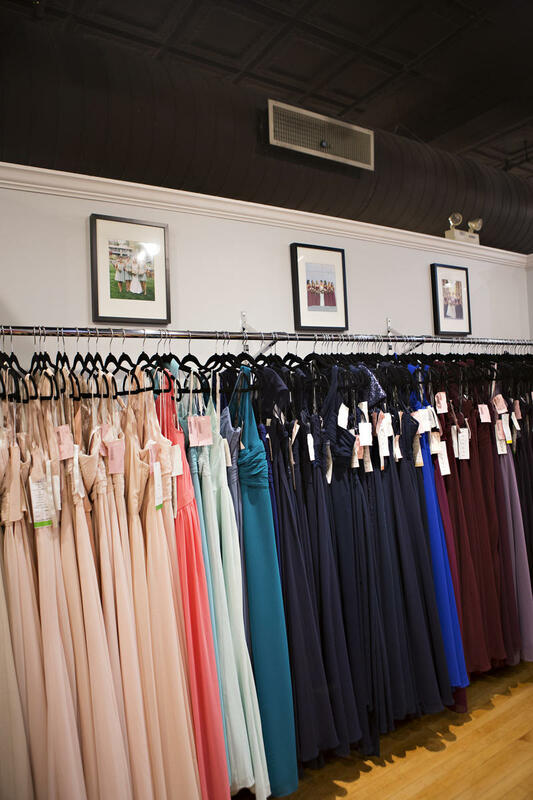 At Alexandra's Boutique, we offer a large collection including Watters bridesmaid dresses. The company designs unique gowns and some that aren't seen in the typical wedding, like sequin jumpers and off-the-shoulder dresses. Bill Levkoff bridesmaid dresses are available at our shop, too. He creates chic and sophisticated gowns while adding classic styles. Another one of our top bridesmaid collections come from Morilee. Anywhere from chiffon gowns with flounced sleeve details to their one-shoulder satin mermaid dress will astound your bridesmaids. For more details, view our entire bridesmaids dress collection and feel inspired! Our consultants at Alexandra's Boutique dedicate themselves to providing you a life moment experience. Whether you know exactly what you're searching for in your bridal gowns or if you need extra guidance, we'll help your bridal party say, "Yes!" to their dresses. We present a unique experience to our clients during full-service appointments for brides, bridesmaids and mothers of the brides. With every client, we consider factors such as the style and theme of your wedding, as well as how you wish your bridesmaids to look on your special day. Our Boutique has a collection of gowns ranging from designer to couture dresses, and we commit our time to one-on-one consultations and superior services. Our goal is to support your bridesmaids and assist them in feeling elegant and confident while standing next to you. Contact Alexandra’s Bridal Boutique to learn more, or to schedule an appointment to find the perfect bridesmaids gowns. Whether you want each gown to have the same style, color or both, Alexandra's Bridal Boutique can help make the process flow with ease.